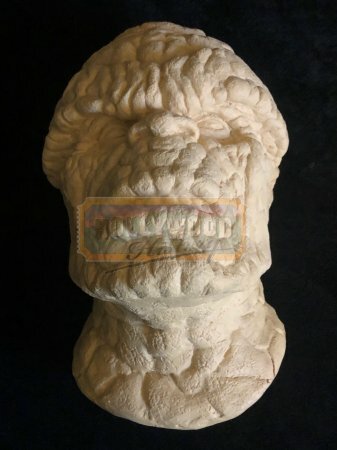 Thing Study Head [FFTSH] - $350.00 : Hollywood History Online, Discover the Magic and Bring Hollywood Home! In this Marvel Comic adaption, four astronauts get bombarded with cosmic rays when an accident occurs. The four of them acquire special powers, and decide to form a superhero group called the Fantastic Four to fight their arch-enemy Dr. Doom. 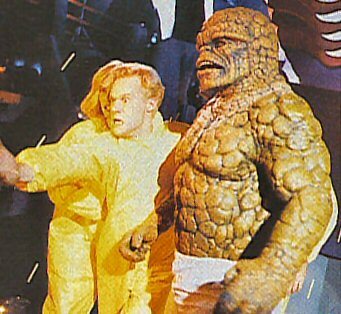 From the 1994 film Fantastic Four, this is the production used study head for the team’s character “Thing”. Made of a lightweight foam material, this made it easy to study and design the character as needed.